mubo - The social jukebox app for your next party or event. 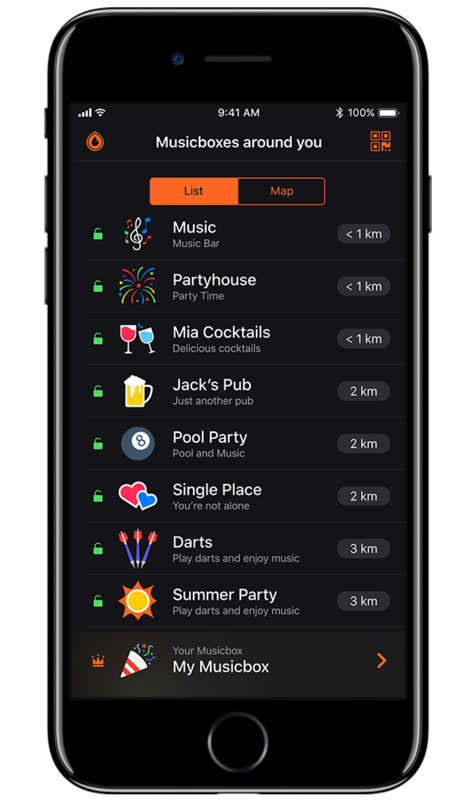 Imagine that in your favorite location or at a party, always runs the latest music and you can decide in which order the songs are played. Quite simply with your smartphone. This is the idea of mubo. Do you love the idea of mubo? Support us. The mubo app allows you to create your own Musicbox. 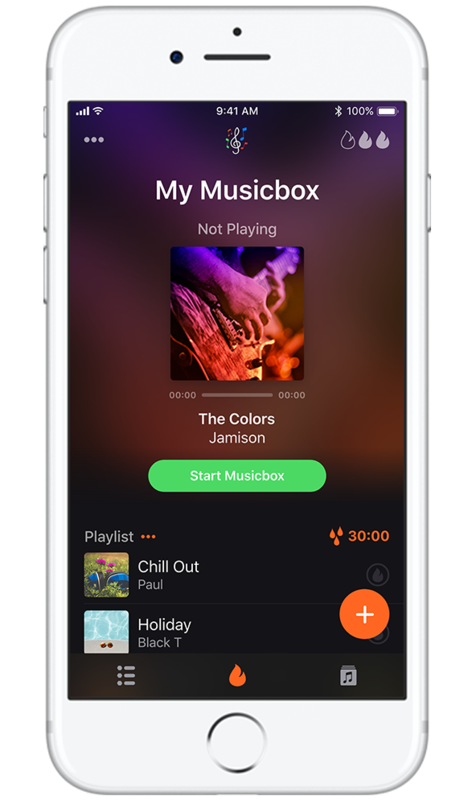 The Musicbox allows you to provide a Playlist. Guests can connect to the Musicbox and vote for their favorite songs using the mubo app. Each guest has a fixed number of votes. Add songs to your Musicbox. You can choose from your own music or simply use songs from Apple Music, Spotify or Fanburst. Start your Musicbox. From now on, your guests can connect to your Musicbox. Your guests simply connect to your Musicbox by using the mubo app. Each guest can view the available songs, add songs and submit votes for his favorite songs. The song with the most votes is always at the top of the playlist. The cooldown will reset all votes after a fixed time. So the voting remains exciting and all guests can vote again. Your guests simply connect to your Musicbox by using mubo app. You are running a location where music is heard, planning a party or wedding celebration? Then you should create your own Musicbox. The Musicbox allows you to create a playlist as easy as possible and make it accessible to your guests. You are visiting a location or a party where the Musicbox app is used? Then you should download the mubo app now. 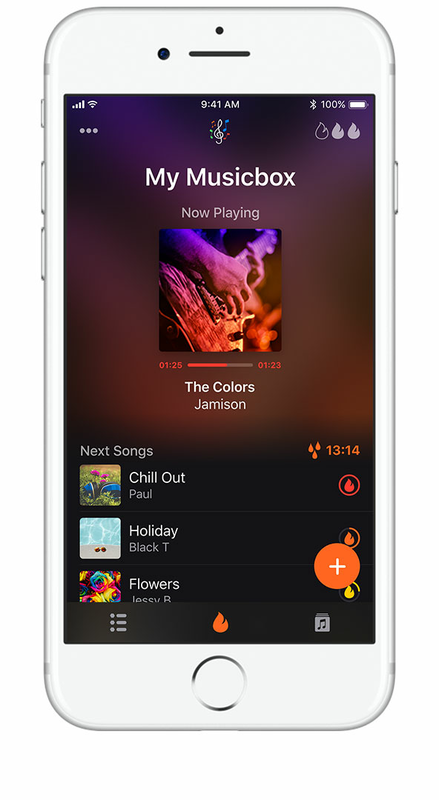 The mubo app allows you to connect to a Musicbox and to vote for your favorite songs. Of course you can always see the current status of the Playlist of a Musicbox. Where can I use mubo? Basically you can use mubo wherever music is heard. We’ll give you some simple examples. What do I need to use mubo? You only have to install mubo on a device with an existing Internet connection. Then as many guests as you want can connect with your Musicbox and vote. mubo is available for iOS and Android.